Thermal Earth was established in 2006 to meet the ever-increasing demand for alternative renewable heating solutions. We are a specialist business supplying products for biomass, heat pump and solar thermal installers from some of Europe's top manufacturers. Our technical support team have worked extensively on developing our product offering – and we know them inside out! We are the exclusive UK distributor for MasterTherm Heat Pumps and Attack Biomass boilers, and we stock all the ancillary components you need for a complete installation. We offer our knowledge and expertise to installers, promoting the correct installation and use of renewable heating systems for their customers. From our purpose-built Training Academy, we deliver the highly regarded HETAS solid fuel courses as well as bespoke, manufacturer-accredited training. The HETAS Training Academy was developed due to the increasing demand for specialist training in both the solid fuel and renewable heat energy sectors. Our design service is available to all installers fitting our products. Our team of knowledgeable, experienced staff will prepare bespoke system designs for installers. Rest assured that they will carry out the technical calculations with the precision that will ensure your system works to its optimal performance. We pride ourselves on delivering the very best in customer service. To this end, all our staff – from our management and design teams , through to our service and maintenance engineers – are time-served professionals with a wealth of industry experience. We recognise our clients are our sales team. By serving them, we promote ourselves. At Thermal Earth we believe in selling the best-quality products at the most competitive prices. We regularly check our prices against other suppliers to ensure that we are offering all of our products to you at the lowest prices online. 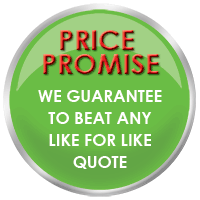 But, should you find a supplier offering the equivalent products, our Price Promise Guarantee means that we will beat the price you have been quoted! This is based on like-for-like products or systems on any UK-based website. If you'd like more information about a quotation you've received or would simply like discuss a quotation further, please contact us today. Find out about the projects we have been involved in. Find out about the services that we offer.